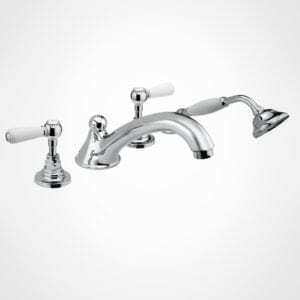 Britannia 4 hole bath set with handshower & pull-out hose, diverter, fixed spout & quarter-turn Traditional tap heads. 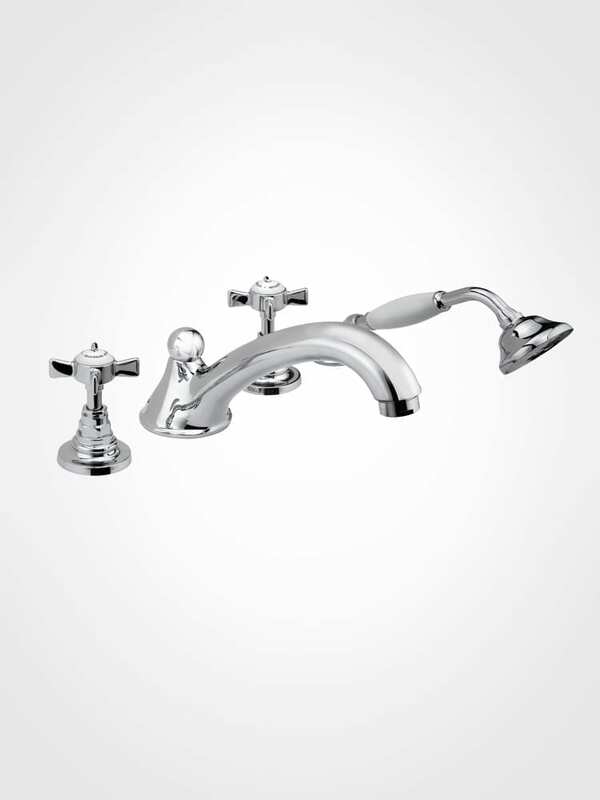 The economical Britannia collection reflects a traditional style that is classic and clean. 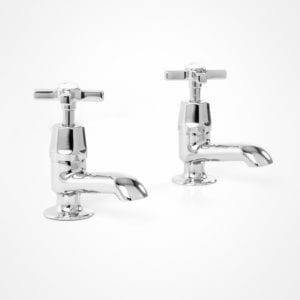 With modern quarter-turn ceramic disc mechanisms, this tapware range offers outstanding value. 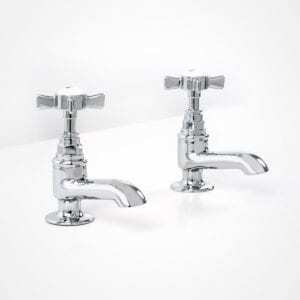 Available with Traditional tap heads, Art Deco tap heads and with black or white levers. 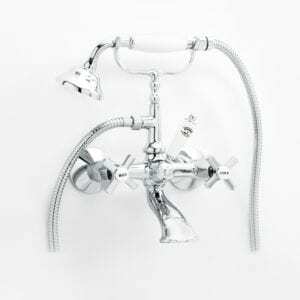 The Britannia 4 hole bath mixer is available with Traditional tap heads, Art Deco tap heads or white or black levers. Prices may vary according to handle type. This product is designed for a deck mounted installation and has a pull-out hose. Clean with warm water, a mild detergent and dry with a soft cloth. Avoid cleaners containing abrasive materials. When situated close to the sea, ensure that the chrome is cleaned regularly to remove salt residue.